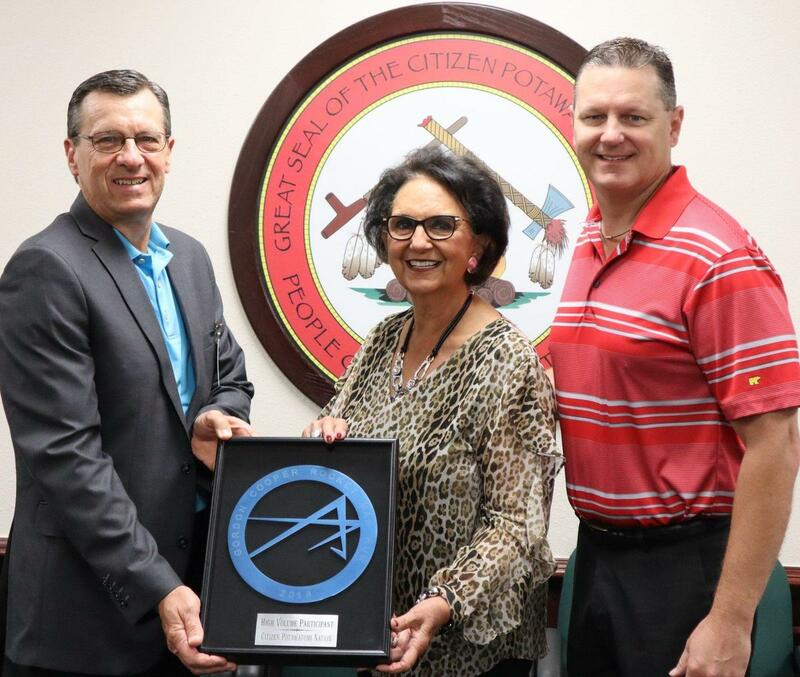 ROCKET MAN RECOGNITION - Gordon Cooper Technology Center Superintendent Marty Lewis, left, and GCTC Education Foundation President Aaron Capps, right, present a plaque of appreciation to Citizen Potawatomi Nation Vice Chairman Linda Capps, center. 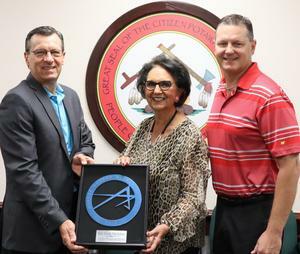 The plaque recognizes Citizen Potawatomi Nation for being a high-volume participant and faithful supporter of the annual GCTC Foundation Rocket Man 5K Run fundraiser. Proceeds from the run support the GCTC Foundation Scholarship Program. Since 2001, the Foundation Scholarship Program has provided almost $150,000 in direct assistance to some 850 students. Scholarships help students stay in school by providing for emergency needs such as a tank of gasoline, groceries, vehicle repair, baby-sitting costs, and tuition assistance.